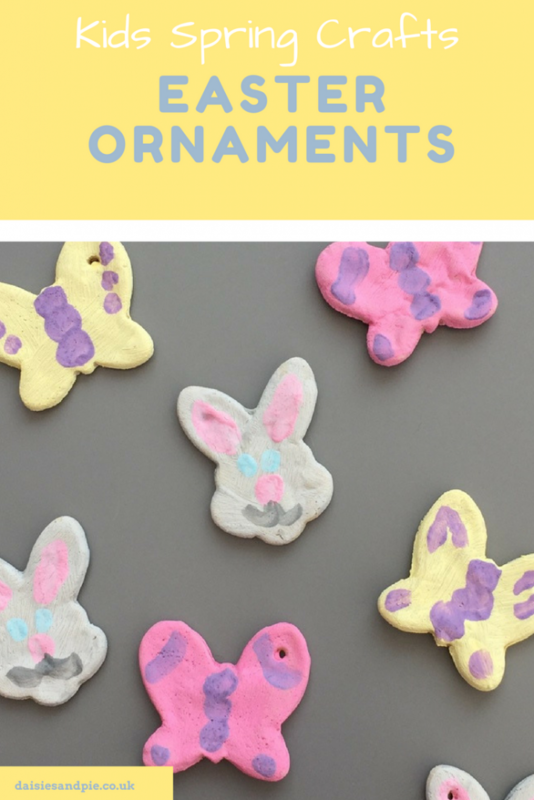 These cute and simple Easter bunny ornaments are a great way for kids to get involved in decorating the home ready for Easter. They also make a sweet little keepsake. 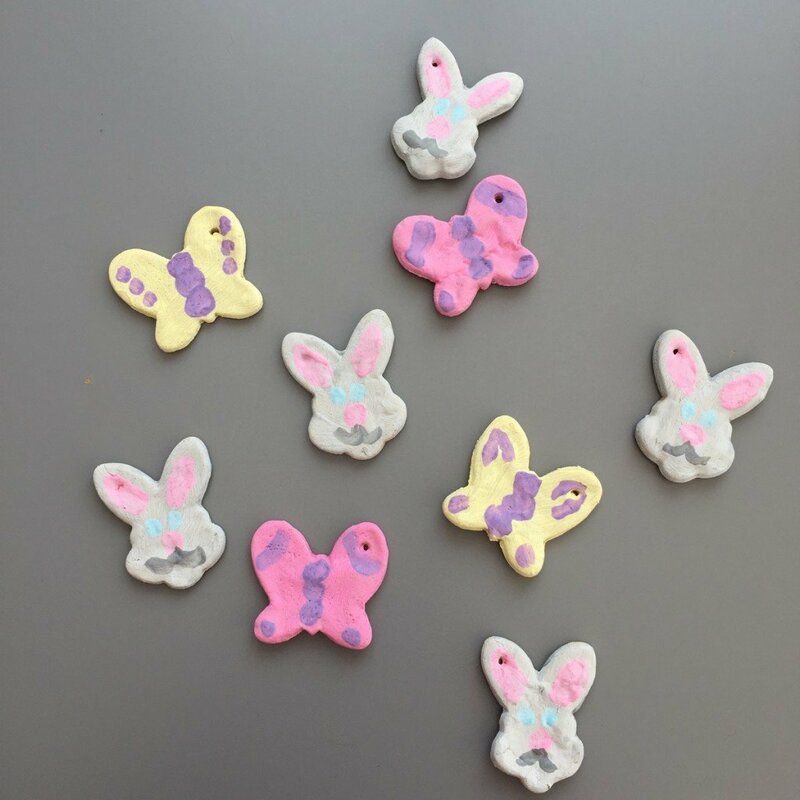 Our spring bunny ornaments are made using a simple salt dough, which is quick, easy and cheap to mix up. We use the basic salt dough recipe of 1 cup of plain flour to 1/2 cup salt and 1/2 cup of water. Basic salt dough ingredients – 1 cup of plain flour, 1/2 cup salt, 1/2 cup water. Bunny shaped cookie cutter – or any other spring shapes like butterflies, tulips or eggs. Varnish if using as a keepsake. Mix up the salt dough – add the flour and salt to the mixing bowl and slowly pour in the water, mix with the spoon and then using your hands knead into a soft pliable dough. Place them on a baking tray and make a small hole in the top for hanging threads. Then bake at 160C for around 20 – 30 minutes until dry and hard. Paint the decorations any way you like. You can add a top layer of craft varnish if you want your Easter ornaments to last longer.